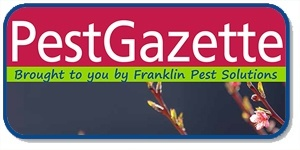 Franklin Pest Solutions has been proudly offering quality pest control to Chesterton businesses and homes in the surrounding areas of Indiana for generations, since 1929. It's no wonder we're a well known name within the area! Our customers are our family. And we treat them how we like to be treated. If you're a Chesterton native, you may be familiar with Franklin's office in Michigan City, or maybe you remember us as Hammond Pest Control. 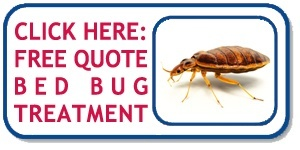 We're here to help keep you and your environment protected from pest-related health threats. For the 7th year in a row, the Dunes Learning Center is offering a fun-filled day of activities for the whole family. Participants can enjoy making crafts, taking a guided hike, and even learn to kayak. When you're ready for a break, find a seat to enjoy the live music from while you enjoy your picnic lunch under the trees. We went for a hiking tour of the Dunes Learning Center to learn about the different programs that their facility offers and to brainstorm about what type of environmental education we would like to offer the community together. It was a beeeautiful sunny day. Our resident expert Bug Girl, Janelle Iaccino, especially loved the bees they had on the property. We worried we'd never get her back! Special thanks to Michelle, Jaime, Erin and all the staff at DLC for "pollinating" our friendship and for sharing such a wonderful experience. "The beehive exclosure that the Dunes Learning Center has on their grounds for their hives is brilliant and very unique! It will be a great outdoor space and vehicle for educational programming and will engage so many different ages in the conversation about what they can do, even in their own backyards, to help promote pollinator health." said Ms. Iaccino. Franklin Pest Solutions has promoted pollinator health in other ways over the years, like with their pathway installation at the Washington Park Zoo. Scroll to the bottom to check out the slideshow of our very own Bug Girl, Janelle Iaccino, suiting up and Erin handling the honeybees. Looking for a great way to get outdoors and explore? From summer camp to special educational workshops, DLC is an awesome hub for nature lovers of all ages. Join Dunes Learning Center for a 20th Anniversary Homecoming Celebration on October 5th. Spend a relaxing evening in the Indiana dunes, tour campus facilities and sample programs with our naturalists. Enjoy a BBQ dinner and drinks plus live music and a campfire. You can even spend the night in a cabin! Proceeds support environmental education. Complete details at duneslearningcenter.org/public.